Cheat for Last Escape Detention Escape Game Scene 13 Walkthrough – You finally arrived the last room that i have prepared. I think i underestimated you. If you escape this room, you can have eternal freedom. Will not be easy, but do not give up. Good luck. Obtained items can be examined, dismantled, and combined for new hints. Use your smarts and logical reasoning to find your way out! 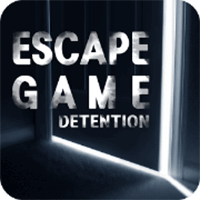 This entry was posted in detention : escape game on September 25, 2017 by 100doorssolution.